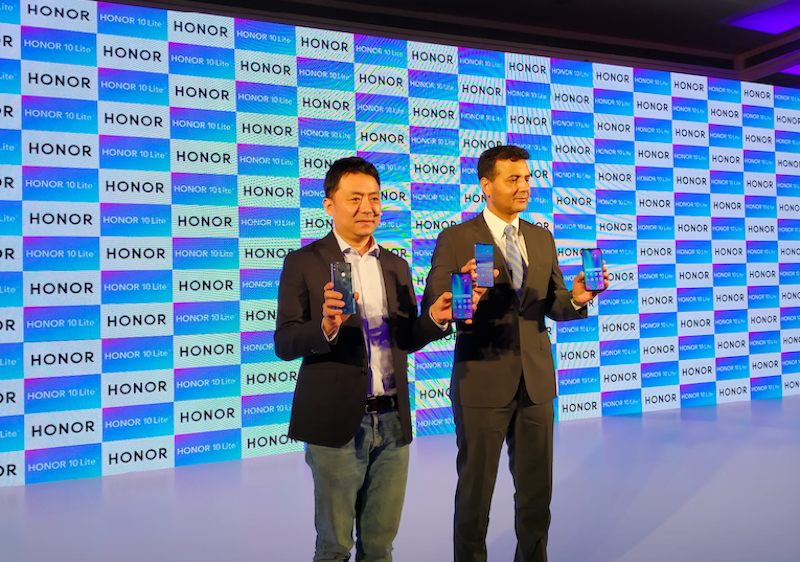 Honor has decided to start its year with a bang and has launched the Honor 10 Lite in an event in Delhi. The phone which had previously debuted in China back in November will now be in the Indian market too. The Honor 10 Lite is a mid-range offering from Honor, and it comes with a particular emphasis on design as is apparent from the first looks of it. The device also sports some notable specifications. Not only that, but the phone also runs Android 9 Pie out of the box which could make it the top choice of buyers in this price segment. Without further ado let’s dive right in and see what the Honor 10 Lite offers. Firstly, about the design. The Honor 10 Lite sports an attractive glass-like 3D rear panel which houses the rear camera setup and the fingerprint sensor. On the front, the phone sports a waterdrop notch staying true to the trends. The rear side of the phone gets a gradient finish which adds to the beauty of the phone. As for the display, the phone sports 6.21-inch Full HD+ panel which renders a resolution of (1080×2340 pixels) with a pixel density of 415 PPI. When it comes to performance, the Honor 10 Lite packs the octa-core HiSilicon Kirin 710 SoC, which clocks a frequency of 2.2GHz. Paired with the processor are the 4GB and 6GB RAM options. There are also other variants of the phone which come with 64GB and 128GB of inbuilt storage and the phone even offers the capability of memory expansion via a microSD card up to 512GB. On the software front, the Honor 10 Lite runs Android 9 Pie out-of-the-box with the EMUI 9.0.1 skin on top. As for camera and imaging, the phone flaunts a dual camera setup consisting of a 13MP primary sensor with f/1.8 aperture and a 2MP secondary sensor. On the front, for selfies, there is a 24MP snapper which has an f/2.0 aperture. The Honor 10 Lite goes live on sale on and it will bear a price tag of Rs 13,999 for the 4GB/64GB variant. The smartphone also comes in a 6GB+64GB variant which is priced at Rs 17,999. The Honor 10 Lite will be exclusive to Flipkart in the sub-continent and the first sale will begin at 12 AM on January 20.